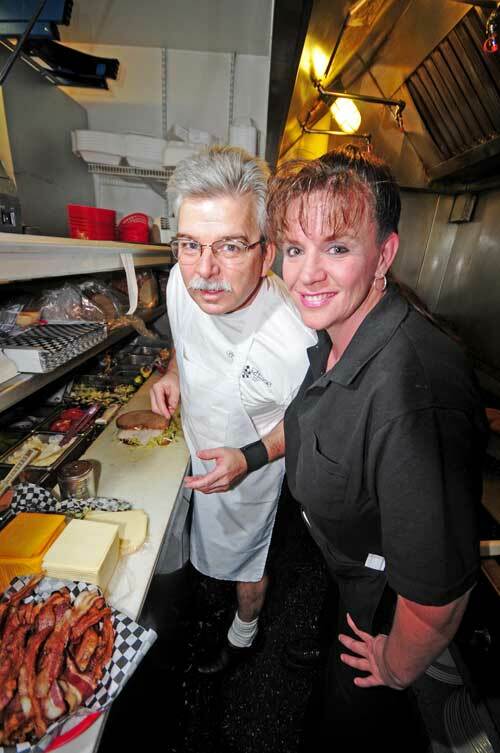 Good Times Cafe began serving customers in 1998 with the hope of dishing up the best classic American cafe cuisine in all of central California. 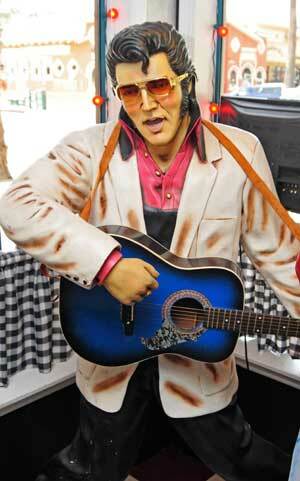 The family-owned and operated original diner was established in Atascadero in 1998 under the name “Cool Cat Cafe”. While celebrating their 2nd anniversary, they received a phone call from the City of Paso Robles offering a great location to built their 2nd location. 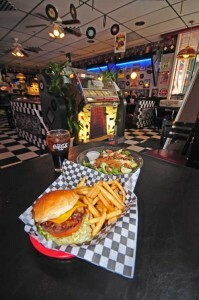 So in 2001, as an all-American ‘50s style diner in downtown Paso Robles, when customers re-named the place “Good Times Cafe.” It has been rock n’ roll ever since and has expanded to two locations: Paso Robles, and Visalia. 1950s inspired locations to serve you in Paso Robles, and Visalia, CA. Positive customer feedback has enabled Good Times Cafe to expand outside of its original Paso Robles home to bring the good times to you in our new central valley location. The original menu remains unchanged: Customers can expect the same family style burgers, shakes, fries, sandwiches and service with a smile that you’ve come to expect from our family. If you’re looking for one of the best all-American, 1950s diner inspired meals, you’re in the right place! Our family tradition continues to this day. Mom’s happy up front serving customers, and dad’s busy as ever grilling it up in the kitchen. Our kids have a fun time working here with mom and dad and the whole crew. It’s like they have a bunch of big brothers and sisters that we can pick on and joke with. When you see “Family owned and operated by Al, Dee Anna, Jayme & Jarrett Knauer” … boy you can believe it! 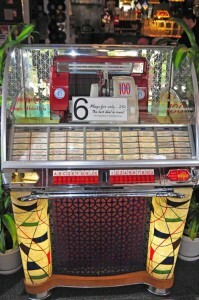 Sit back, relax, enjoy the juke box, and we’ll do the rest. 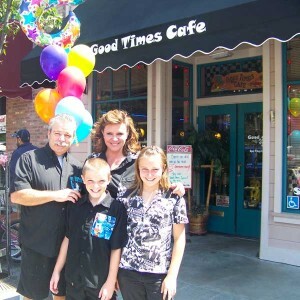 At Good Times Cafe, we let the good times roll and treat our customers like family. Have your next party with us. Call us directly or fill out the form below and we will get right back to you!